Have you guys seen it? 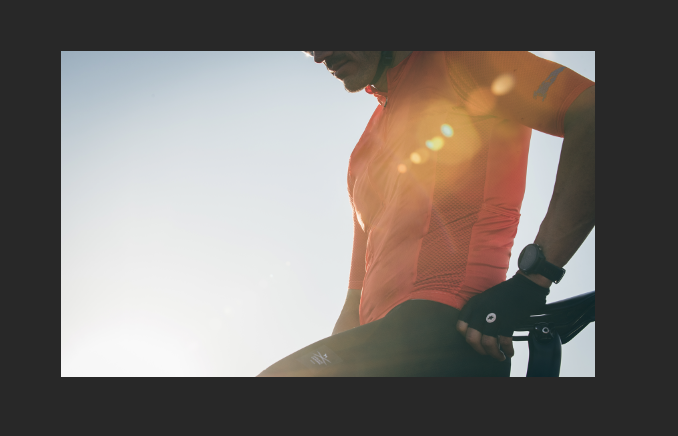 We teamed up with a couple of local cyclists on a short video. Its always been bragging right of locals in Southern California that say "You can surf and ski within one day". For cyclists, its possible to ride your bike from the Jetty in Seal Beach, elevation 0, to Mt Baldy 8k ft up, One road! Honestly, Not sure how many locals do this "combined" route. Most people do the river trail or the mountains or a shorter combination of both. Enter #epicride. This ride starts at absolute elevation Zero to 8k ft. Literally from the sea to the mountain ski lifts. Its not an easy ride! You start climbing the instant you ride north. Steady false flat road at first then it hits you! Santa Fe Dam. Its a junction of sorts. From here the route into the mountains splits up to humbling roads with quick elevation gain. These guys took GMR up to baldy. 75miles- 8000ft. Last edited by Catella; 06-27-2018 at 09:14 PM. Several months ago we decided to re-parttern our current Pacifica line. Cut here, elongate the sleeves, not too much... Had to cancel a couple of my personal rides because of it but I live for creating this stuff. Added a couple of final details, new labels, and finally got that Orange I always liked (international orange, vermilion, Japanese orange, the stain on the golden gate bridge) or similar. Regardless this new Jersey is called the Topanga Jersey after Topanga Canyon Road. The jersey is incredibly light and airy at 6oz(always warm around these parts). The Fabrics, like always, are from Italian mills. Zippers are from Japan, We designed this thing here in California and sewn in Asia. You can say the world came together on this one. Regardless here it is... We are starting our Pre-sale special pricing tonight if anyone is interested www.catella.cc Free shipping in the USA and easy returns as always. New items coming soon. Check it out let me know what you think! Our Wilson shorts are here! These are long distance shorts built for Rock solid performance and comfort. Starting with the Elastic Interface Pad that is rated at 7hrs plus for comfort. Its the gold standard pad for any long distance attempt. Its Just thick enough with its 3 strategically placed densities that will never compress over time. A special Textured Fabric is used to reduce Wear by pressing a pattern directly on its surface, therefore creating an overall "armored plate" that will last for years. It will never become sheer after multiple washes. The gripper is 7.5cm wide! This is important that there is enough surface area in the gripper as to not squeeze the thigh but rather hold it or simply grip. Lastly, the Details. Sewn in Reflective tabs never fade or peel after wash. The straps are soft and offer a 4way stretch capability with massive breathability. Simple branded leg label is clean and classy. Paceline only discount on Presale. 20% off! Use code "paceline20" on check out. Last edited by Catella; 09-14-2018 at 08:22 PM. Is the sizing similar to the current Pacifica line? Or are they more snug-ish? The Jerseys are patterned differently this season from the last (cabrillo-salmon and Bonelli-Navy Blue). This season the Jerseys have gotten a pattern "evolution". What I mean by this is that there are fabric adjustments and slight pattern revisions. The front of the jersey is about an inch shorter so that i will not bulge when riding but also not rise above the bibs when standing even if you're tall. The arm sleeves are a bit shorter compared to the last season's design and they are "inset" sleeves rather than Raglan style sleeves. A raglan sleeve (last season) has to cover the arms and shoulders while connecting to the torso and collar. The inset sleeve improves the fit around the arms since you are asking the pattern to do a very specific thing, simply, cover the arms. The torso has been re-fitted by reducing it .25in across the chest and abdomen for a better fit. This slight "brushstroke" of a pattern change makes a huge difference. It removes extra material while keeping the jersey comfortable yet sporty but not a club cut. The shorts are really nice. I dont mess with these because the fit is simply perfect. They are perfectly compressive and snug. This keeps the pad in place. Honestly the fabrics on the Wilson shorts are really expensive but these shorts are built to last. Miti fabrics last and never break down with constant wear, EI pad does not compress over time and rated 7Hrs plus. Wouldn't be surprised if customers come back for a second pair. Solid long distance shorts. I bought the Boneli Pacifica Jersey a few months back and I’m enjoying it. I would be interested in the new orange jersey. Agree with the shorter sleeves and reduction in front length being a plus. However at 5’6” 150 pounds the small is quite snug on me. I don’t know if I want to have 1/4 inch less fabric around my body. Are you advising people to size up in this situation or should I be looking at other looser fitting jerseys? CNY I would definitely recommend a medium in this case. The fabric is a much lighter than the Bonelli. Some guys with broader shoulders may fit better in a larger size. The total weight of the jersey is 6-9oz. Its still very comfortable yet "sporty". The .25in adjustment just finesses the wrinkling caused by the new fabric as seen in our prototypes. The length adjustment also helps resolve buckling zippers in the riding position. The jersey should fit snug but never tight. Avalon Jersey in silver gray. Named this jersey the Avalon after the port city of Avalon on Santa Catalina Island, California. Catalina island is 26 miles from the port of long beach on the mainland. Its part of the Channel Island chain just off our coast. Avalon is a tiny port city hidden in a cove, surrounded by mountains and once property of the Wrigley family of the chewing gum fame... Traveling to the island early in the morning its very difficult to see because of the daily fog. Its a theatrical experience traveling to the island in at this time as a dense fog obscures the island landmass. As you approach the island it slowly appears and reveals itself as if it was a floating pirate ship emerging out of the silver clouds. Thanks for the support pace liners! The Avalon jersey. The pattern is perfectly fitted to provide comfort yet fit well. The sleeves slide on with a open mesh textured fabric. The body fabric is a light, micro-perforated texture, to allow breathability. 3 angled pockets on back with a seam tape detail that finishes the seam. Logos are subdued simple and classy. Its a timeless design that will last the wear and tear of usage. Super light weight at 6oz. Last edited by Catella; 10-09-2018 at 02:35 PM. Guys our final release for the year and its 20% off. Introducing the new Gibraltar Jersey. Inspired by Gibraltar RD in the Santa Barbara Foothills. Climbed this one during the Tour of California event last year before the race rolled thru. Honestly I would like to go back without all the craziness and tour buses. Its a beautiful climb with an amazing view of the ocean on one side. This new Gibraltar Jersey features a wide open mesh on sides and arms. Its always sunny in California! The fabric is extremely soft and feels like silk over the skin. The front is made from a micro perforated fabric that is very light and stretchy. Last edited by Catella; 11-24-2018 at 02:51 PM. Hey Guys, Working on some new items for the spring season. Its always warm here in California. Hope to meet you guys on a ride sometime if you're out here. Was just up on GMR the other day and the views after a bit of rain and snow are incredible. This is only miles from LA. Talk about getting lost! See the image below. 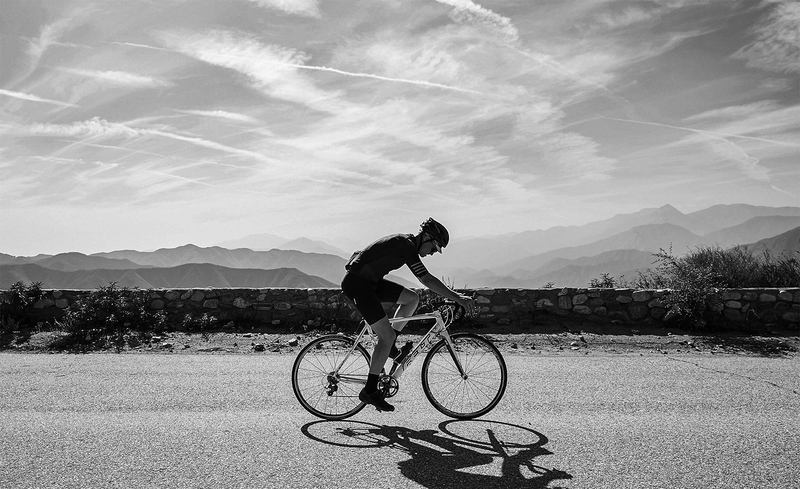 The tour of California uses that winding road to reach Baldy. Message us when you are in town. Dont forget to get that 20% discount on our website using code "getlost"
That Avalon Jersey is just looking better all the time! Thanks for making this one an all time favorite. Got a few left. Simple design, no graphics, Less is truly more. The fabrics tell the story. They are sourced from well regarded Italian Fabric mills. They make the jersey "disappear" when riding. The cut is sporty but not tight, Just right. The jersey weights only 4.4oz making this jersey the lightest we have produced. Check it out. GMR ride with new Gibraltar shorts and Azusa wool jersey. Can you believe this is LA? Last edited by Catella; 12-10-2018 at 05:32 PM. The Topanga, Avalon and Gibraltar are all the 2018 cuts, but w/ different colors and features (i.e. mesh panels in different locations, etc)? Similarly, the Wilson, Gibraltar, Obispo shorts are all the same cuts but with differences in color? @tyler The 2019 jerseys Topanga, Avalon and Gibraltar are based on our patterns from 2018. Theres are a few modifications to these as we improve out fit every year. The modifications are more like careful brush strokes in than massive changes. I should expand on this for everybody who wishes to learn more. The body-torso stays the same in 2019 as it is a perfect fit and we have had great reviews. however, the front hem has a nicer shape and is raised slightly from 2018; about .5 inch. The sleeves are a bit shorter as to accommodate more sizes but still long enough to cover the arms and look and feel long. We are using an inset sleeve instead of a raglan sleeve because the arms fit better with an inset sleeve pattern. A raglan sleeve pattern runs from the cuff of the arm to the collar. This is a huge problem when you try to create a precise fit because you are using one flat pattern and asking it to do so much on a 3d form. An inset sleeve allows for one pattern for the torso and one pattern for the sleeves, in effect reducing fabric under the arm and gaining a better fit over the shoulders. Also there is less fabric wasted. Zipper is still a high quality YKK Coil Lock zipper. Lift the zipper handle and the zipper slider begins to move. Lower the zipper handle and the zipper locks in place. Its great when you want to unzip your collar in hot weather. Pockets in back are huge. the pattern has been adjusted to allow for more pocket space incase you need it. This will also secure your valuables. fabrics are Italian Miti. this makes our jerseys 4.4oz light. 4 way stretch for maximum comfort. We just use proven, light, airy fabrics that last. The Graphics are gone. Only simple touches of branding. The Key word is timeless. A kit you can enjoy for years. Wilson shorts contain a fabric that is abrasion resistant. It is pressed with heat to create soft impressions that act as tiny shields. 7.5cm Gripper on legs. 6+hr pad with 6 density zones for comfort. more on pads below. Obispo (Dark Gray) and Gibraltar (Navy Blue) shorts are made with Italian shield fabrics. They are never transparent and are thru dyed from the fabric mill. This means that they cannot be sublimated but they also never turn white or change color when worn. These fabrics, because they cannot be sublimated are incredibly rich in color and supple in touch. The heat from sublimation bakes fabrics at about 375 degrees F and gives them a brittle feel. The sizing shrinks as the high heat reduces stretch heats the lycra. Our thru dyed shorts are the only way to go for max comfort. Lastly the Griffith Bibshorts are built with a special thru dyed black fabric and integrated Gripper on the hem. This new technology gets rid of the stitched grippers and makes use of print technology by applying silicone dots neatly on the inside of the Leg hem. This creates a Large grip, smooth seamless leg hem that is incredibly comfortable. No stitching just one pattern with grip and a clean finish on the leg. Elastic interface pad 6hrs+ Its new technology and honestly it costs more to produce but the Griffith Bibshort is so liked that we brought it back with the upgraded 6hrs+ Elastic interface pad. We love these Pads. Honestly its what we check first when we go shopping for new bibshorts. We simply want our shorts to support us on our long rides and logically use the most trusted company in the business, Elastic Interface. I will let them speak for themselves. Below are the specs of the road performance pad.